Listen! Do you want to know a secret? If you recognise the first line of this Beatle’s song I must state that this post has absolutely nothing to do with the pop group’s discography. So, I hear you ask – what is it about? Okay, I admit that Norfolk as a great holiday destination is no longer the secret it once was; however, there was a time after the First World War and for several years after the end of the Second, when that was very much the case. Favouring the coastline of Devon and Cornwall – and enduring endless traffic jams to get there – the majority of holidaymakers in the late 50’s through to the 1970’s flocked to England’s South West. In comparison, the eastern counties of England were the poor relations when it came to visitor numbers. That had not always been the case as Norfolk’s tourism star had burned very brightly indeed until the Great War intervened. In the years leading up to the outbreak of the First World War, the coastal resorts of North Norfolk had been the favoured watering hole of the country’s glitterati. Grand hotels were designed by the leading architects of the day and were built at Cromer and Sheringham. Two railway stations were constructed at Cromer to cope with visitor numbers. Holding their parasols aloft, ladies accompanied by smartly suited, and hatted, gentlemen, would stroll on the pier and promenade and genteel afternoon teas in elegant hotel dining rooms were de rigueur. Sadly, when peace was restored in 1918 the wealthy people did not return to the area for their holidays and Norfolk returned to being a peaceful backwater. The demand for the plush hotel rooms fell away and the owners were left with huge, expensive to maintain buildings with few guests. Gradually, the more discerning holidaymaker and the well-heeled searching for a second home began to realise Norfolk’s full potential in the late 70’s. The county’s quiet roads, wonderful landscapes, sandy beaches and the tourist infrastructure put in place prior to the outbreak of the Great War, were appealing. As the mid-seventies approached holiday homes were still being snapped up at low prices. Then the 80’s house price boom became firmly established and small cottages in such hot spots as Blakeney, Brancaster and Burnham Market rocketed in value. Burnham Market was transformed from its original state as a pretty Norfolk village into an out-of-town upmarket shopping centre. Estate agencies feeding the boom appeared, along with the inevitable expensive designer clothing shops, art galleries and organic food retailers. Norfolk dialect was seldom heard around the village green, being replaced by the more cultured accents of the new arrivals. The same situation arose in the Georgian town of Holt. The original shops that had supplied the needs of the locals for many years were gradually replaced with similar businesses to those in Burnham Market. A walk around the town counting the number of estate agencies, eateries and art galleries presents a surprising result. I have no wish to give the impression that I resent the changes that have come to my part of the world. On the contrary I am conscious of the fact that tourism is the main engine driving North Norfolk’s economy. A large number of the indigenous population have benefitted financially from the changes since the 1960’s. The renovation of hundreds of coastal cottages has prettified the villages, making the area a very pleasant place to be for tourists and locals alike. If you are reading this and have never visited North Norfolk I urge you to do so. 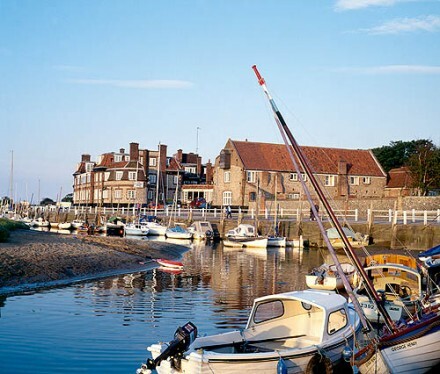 You will find friendly locals (mostly), great pubs, great walks, great beaches and wonderful stately homes to visit. Let North Norfolk welcome you soon.